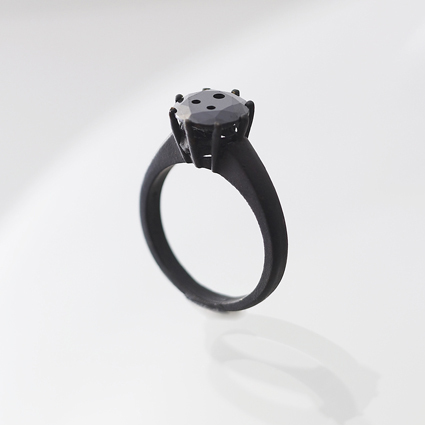 I'm afraid I can't tell you much about it other than that this 2 carat black diamond engagement ring, complete with a face engraved into the diamond (see the holes? ), by German avant garde jewellery designer Karl Fritsch is one of the most incredible pieces of fine jewellery I've ever laid eyes on. So unique.